We take pride in the quality of our work and strive to give you the ultimate results you want to achieve. We provide our customers with the ultimate in craftsmanship and service to repair and restore family treasures, antiques and any pieces made from a variety of precious and semiprecious metals, which include: brass, copper, silver, pewter and bronze. 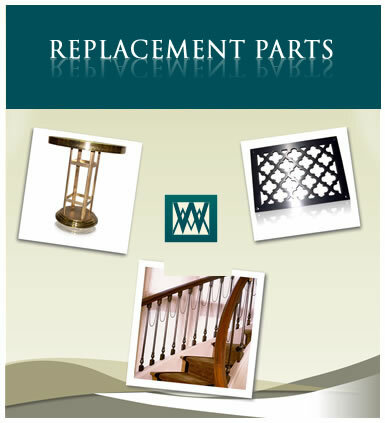 Depending on the condition of the metal, we can repair almost ANYTHING MADE OF ANY TYPE OF METAL. Our craftsmen repair items to "Like New" condition, with little to no evidence that repairs have been made. Copyright © 2019 Wainlands Inc.